The Magnificent Milton - And There’s One In New York City! In Spring 2010, my friend Rebecca sent me a note, asking if I knew about the Sears Milton in Stanley, Virginia. Four months later (August 2010), Hubby and I were standing in the front yard of the Sears Milton. At the time, the 1,932-square foot house was being used as a Bed and Breakfast. The Milton House Inn website has now been taken down, so apparently, it’s a private residence again. The Milton did not appear in the 1912 catalog (or prior years), but I found it in the 1916 catalog. It last appeared in 1919, so its reign was brief. If you’d purchased a Milton in 1916, the price was $1,619 and by 1919, the price had jumped to $2,491, a shocking 54% increase. And, it was not offered as a pre-cut house. When I was putting together this blog, I was surprised to find (according to an old testimonial) a Milton had also been built in New York City. This is a massive and impressive house, not far behind the Sears Magnolia in terms of grandeur. Its many unique features would certainly make it hard to miss. Is the Sears Milton still standing in New York City? Boy, I sure would love to know. What about the Miltons that were built in Fayette, Ohio and Somerville, NJ? Are they still standing? In 2008, someone sent me a newspaper article that claimed that the Sears Milton had been built (and torn down) in Carlinville, Illinois. I shared the photo with Rebecca Hunter, and she and I concur: The house in Carlinville (on Route 4) did not appear to have been a Sears Milton. 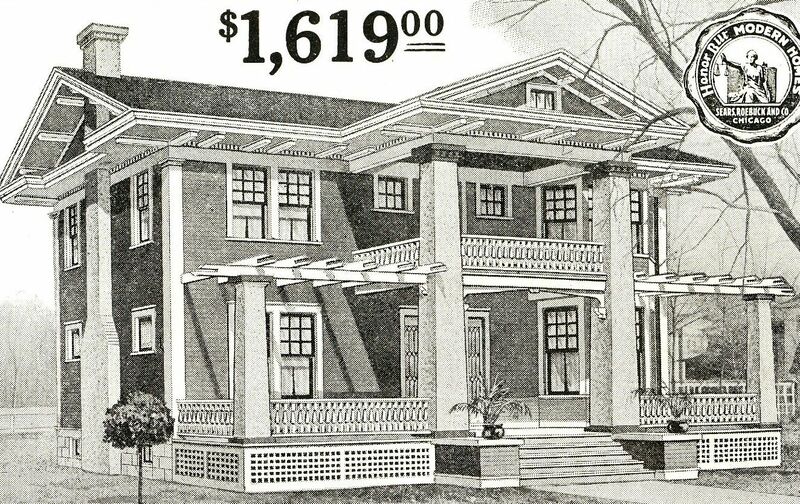 To read about the Sears Homes in Carlinville’s Standard Addition, click here. That bay window (dining room) is quite large and is one of many identifying characteristics of the Sears Milton. 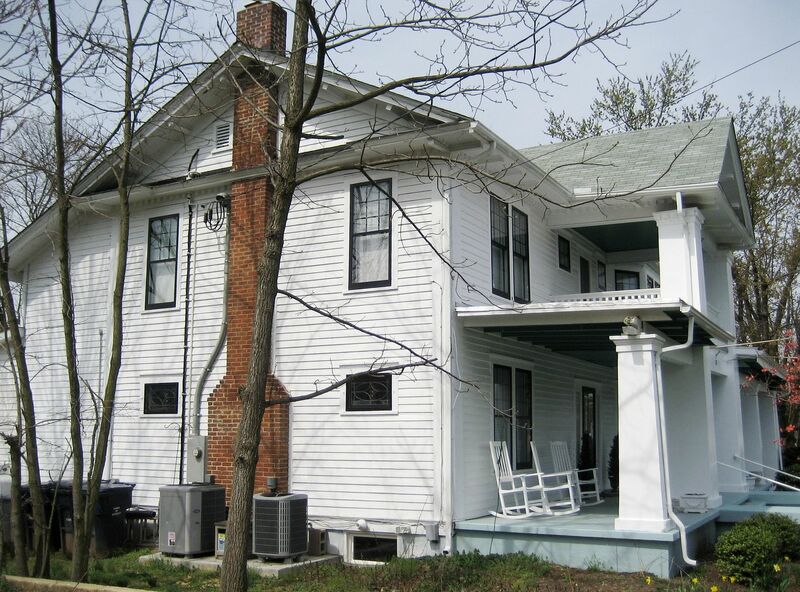 The small windows on the side (flanking the fireplace) are another unique feature, asis the second floor porch with its unusual window placement. Close-up of the house (1916). 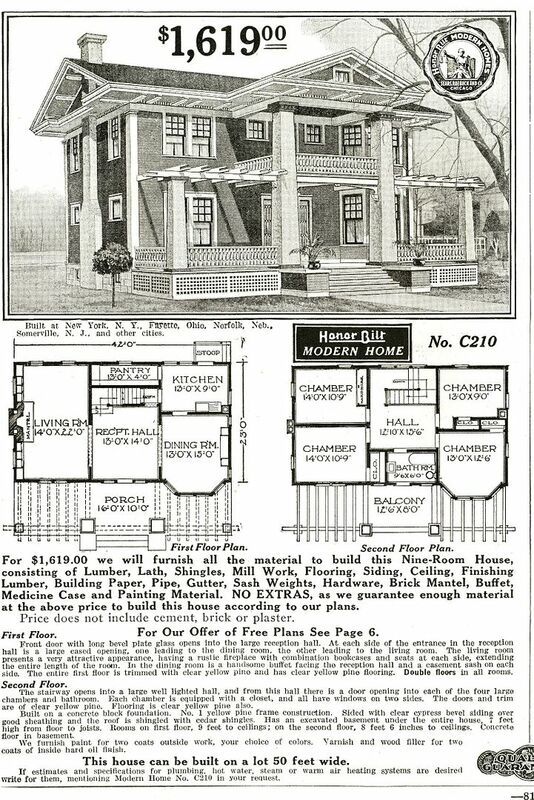 As mentioned, this house has many unique features, such as the dentil molding, massive eave brackets, tiny attic window set in those deep gables, pergolas, and that massive two-story bay window. 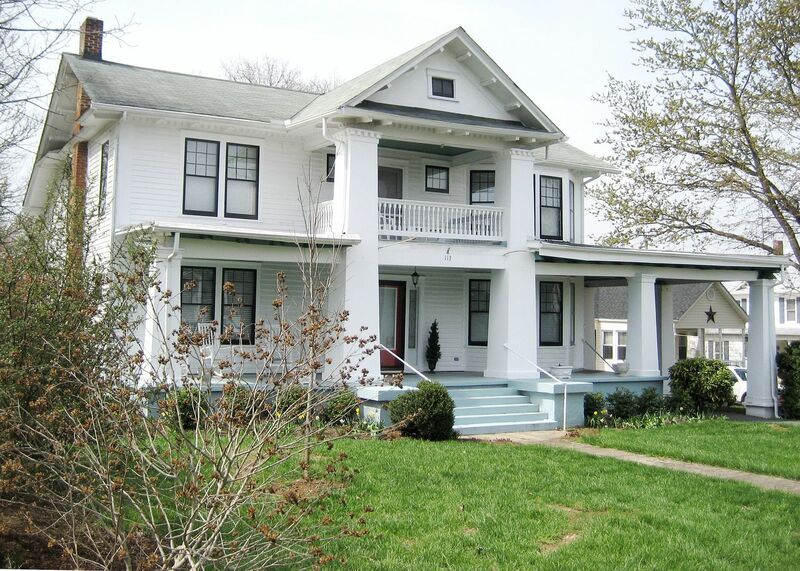 That second-story porch (with small windows on either side of the balcony door is also pretty distinctive. Landscaping prevented a shot that's more akin to the catalog image (as seen above), but there's no doubt about it: This is a Sears Milton. Note the dentil molding atop the columns. My oh my, that's a fine-looking house! 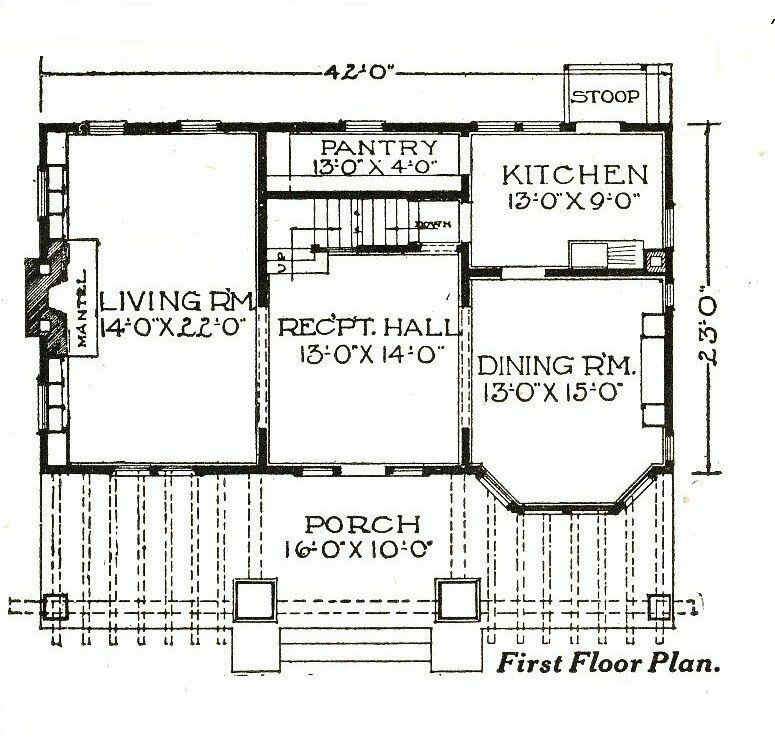 Note the two-story bays on the right! Another view of this wonderful old house. From this angle, you can see those two small windows flanking the chimney. 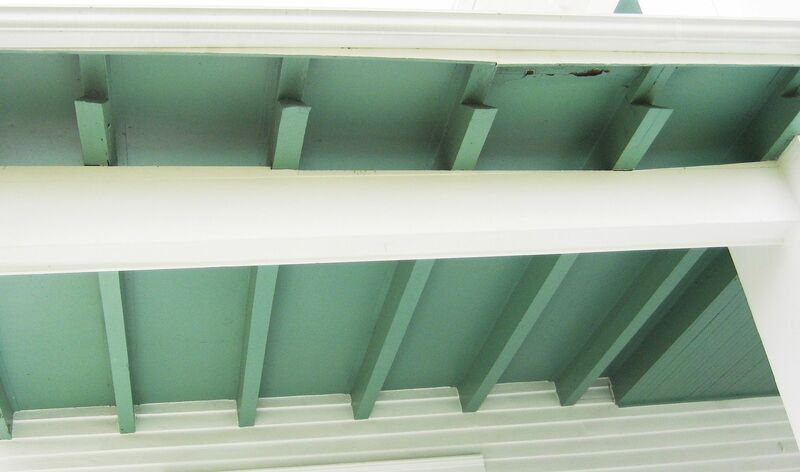 Underneath the flat porch roof are remnants of the old pergola. Note the unique cuts on the rafter tails. 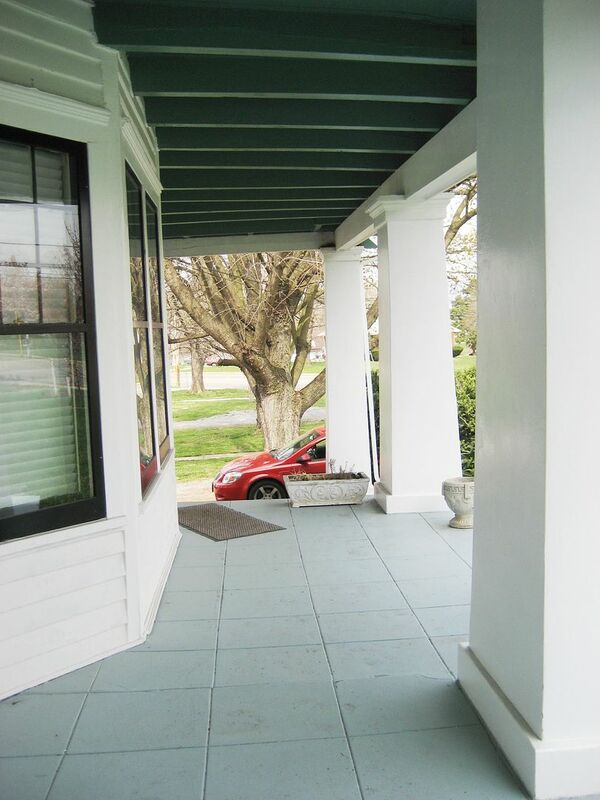 A view of the Magnificent Milton's front porch. 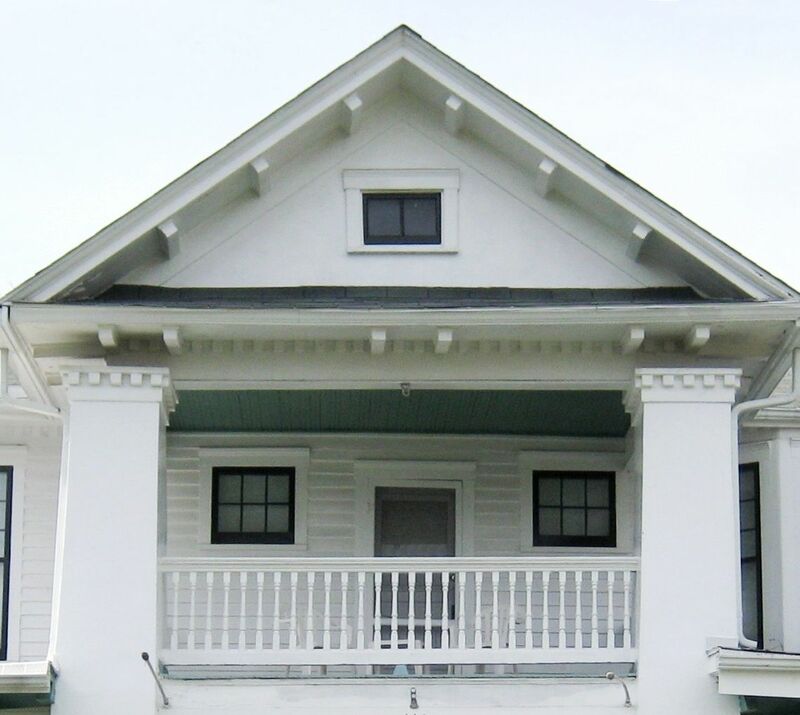 Details around the second-story porch. 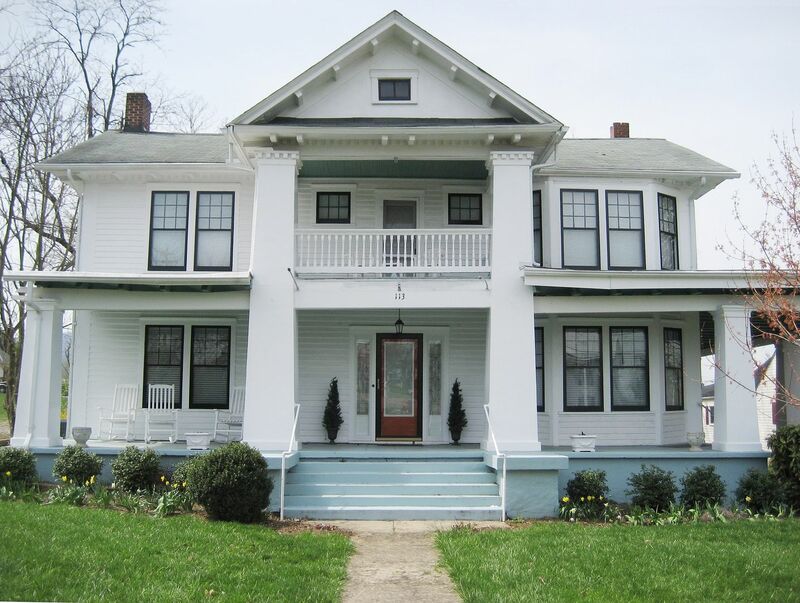 Comparison of the catalog image and the house in Stanley, Virginia. To learn more about the Sears Magnolia, click here. 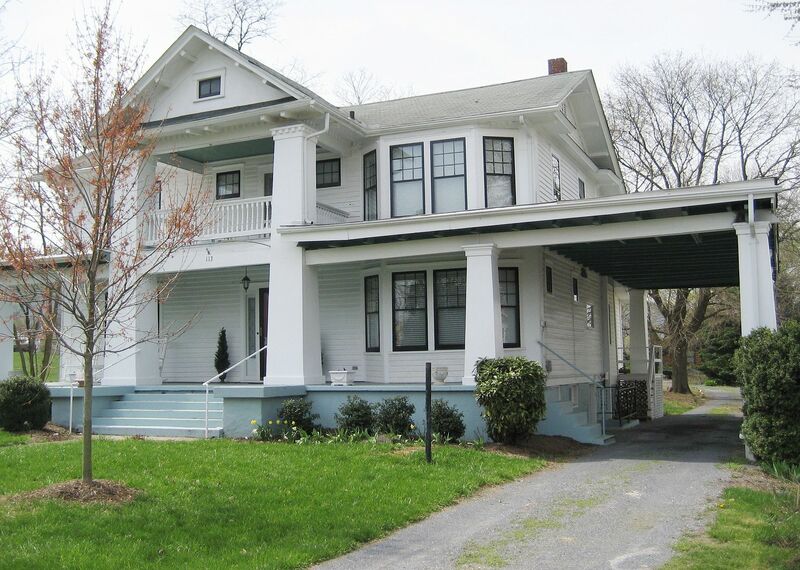 Interested in seeing more photos of Sears Homes in the Blue Ridge Mountains? Click here. The Miltons in New York, New Jersey and Ohio were built between 1913 -1916. Please leave a comment if you have any clue where these homes might be!